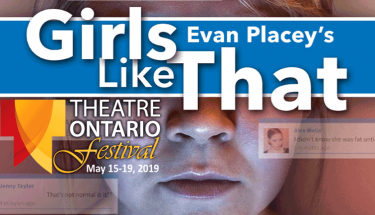 Girls Like That is an explosive play that explores the evolution of feminist consciousness and modern female friendships in the wake of advancing technology. Jumping back and forth in time, the audience sees how societal pressures and expectations impact this group of girls. A naked photo of one of them gets sent around to the entire school and the girls explore what this means to their group, and themselves. 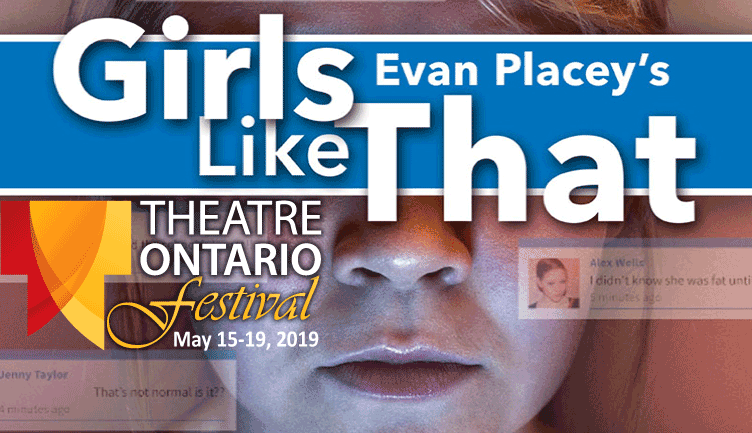 Theatre Ontario Festival 2019 is May 15 – 19, 2019 at the Richmond Hill Centre for the Performing Arts. This traveling festival is an annual celebration showcasing award winning theatre from across Ontario.